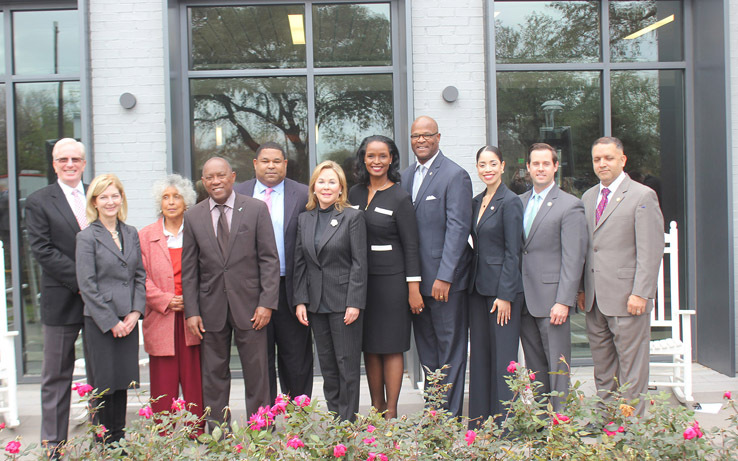 This past Tuesday, the Emancipation Park Conservancy (emancipationparkconservancy.org) held a press conference to announce that the Kinder Foundation and Houston Endowment have both agreed to continue support for Emancipation Park with grants toward the Emancipation Park Conservancy, which will further park programming and operations. Both funders were early supporters of the Emancipation Park Capital Campaign. The Kinder Foundation will provide a grant of $750,000, and support an additional $250,000 challenge grant should the Emancipation Park Conservancy secure an equivalent amount of matching funds during the same fiscal year. The Kinder Foundation (kinderfoundation.org) is a family foundation established in 1997 by Rich and Nancy Kinder of Houston, Texas, that provides transformational grants that impact urban green space, education, and quality of life. Houston Endowment has approved another $750,000 in funding to help develop the organizational capacity of the park conservancy. Houston Endowment (houstonendowment.org) is a private philanthropic institution, established in 1937 by Jesse H. and Mary Gibbs Jones, that enhances the vibrancy of greater Houston and advances equity of opportunity for the people who live here and helps create a community where the opportunity to thrive is available to all. Established in June 2014, Established in June 2014, the Emancipation Park Conservancy is a 501(c)(3) organization with a mission of “preserving, funding and protecting the rich cultural legacy of Emancipation Park. 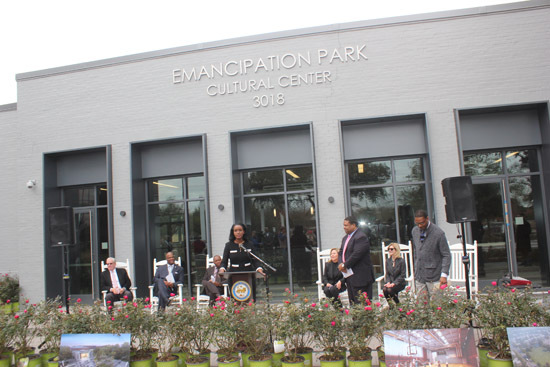 These new grants will enable the Conservancy to also partner with and provide mini-grant funding to other Third Ward community-based organizations, as well as add much-needed staffing capacity at Emancipation Park. “We appreciate the commitment the Kinder Foundation and Houston Endowment have shown to this initiative,” said Manning. 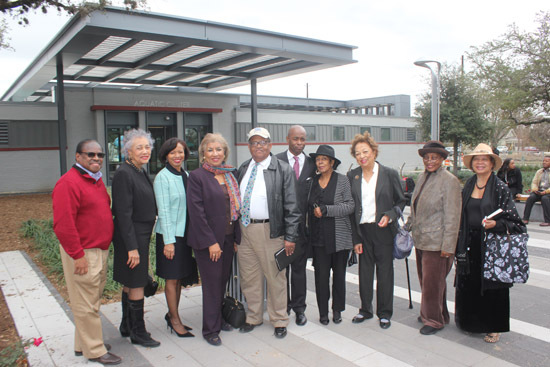 On September 1, 2016, the City of Houston approved and authorized, in a unanimous decision, the ordinance relating to a joint agreement for Emancipation Park with the Emancipation Park Conservancy. The purpose of the agreement between the City of Houston and the Emancipation Park Conservancy was to share joint responsibilities for the maintenance, operations and programming of core services and supplemental enrichment activities in the Park. As outlined in the joint agreement, which has a term of 30 years, the Conservancy will be responsible for fundraising to support park programs, services and activities, maintenance and operations and managing park food concessions. Additionally, at any time during the term of the agreement, the Conservancy may also manage community organizations providing programs, services and activities at the park; manage and coordinate civic, cultural and special events in the park; program events and activities; recruit and coordinate volunteers; manage facility rentals and operate the community center. Scheduled to open for public use in January 2017 with an official re-dedication ceremony of events coinciding with Juneteenth 2017 on Sunday, June 18th, Emancipation Park will serve as ground-zero for a variety of programs and activities serving all ages in the areas of education, health & wellness, history & culture, economic empowerment, environmental stewardship and families & communities. Emancipation Park will also host seminars, town hall meetings, conferences, concerts, plays, exhibitions and festivals for all to come and enjoy. Emancipation Park is the oldest park site in the City of Houston. The parcel was purchased for $800 in 1872 by a group of Black community leaders (Rev. Jack Yates, Elias Dibble, Richard Allen & Richard Brock) in celebration of Juneteenth (the anniversary of the emancipation of African Americans in Texas on June 19, 1865). Today, Emancipation Park, an 11.7 acre jewel located between Houston’s thriving central business district and the world renowned Texas Medical Center, pressed forward with $33.6 million in new construction and renovations. Now, part of the park’s master plan is a community center and aquatic center; new recreation center; off-site parking; multi-purpose space to accommodate gatherings of up to 3,000; enhancement of outdoor experiences including picnic areas, a baseball field, tennis court, basketball court, play area and event, exhibition and performance space, as well as an interactive visitor’s center and souvenir retail shop. The new Emancipation Park is certain to take its place among the nation’s most respected parks and green space destinations. For more information about this multi-year financial grant from the Kinder Foundation and Houston Endowment, please feel free to contact A. Travoye Jones at 832-434-9497 or email ajones@toyejonesinterests.com, and to learn more about Emancipation Park please visit the website, www.houstontx.gov/parks/emancipationpark.